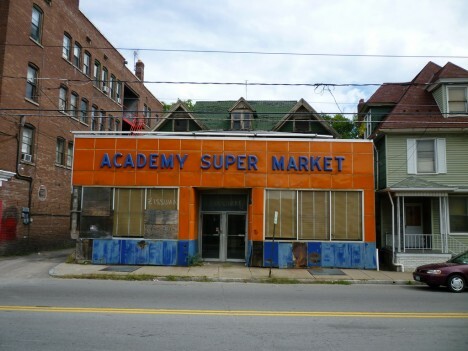 The abandoned “Academy Super Market” in Wilkes-Barre, PA may not be super-sized but it IS super-photogenic – even in its abandoned state – courtesy of Flickr user Gerry Brague (revger). Brague chanced to notice the abandoned market on September 10th of 2009 and luckily for us all, he had his Panasonic Lumix DMC-FS15 digital camera with him. 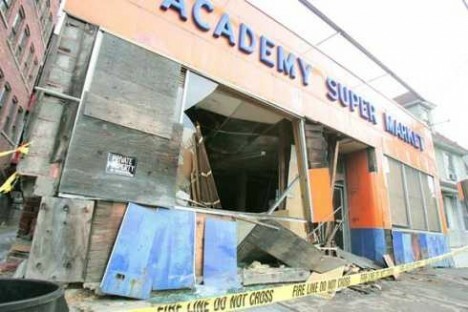 Even in abandonment, the Academy Super Market gets no respect – just ask the allegedly (according to local police) inebriated driver of a 2008 Toyota Yaris who plowed through the vacant store front at around 12:45am on February 3rd, 2010. 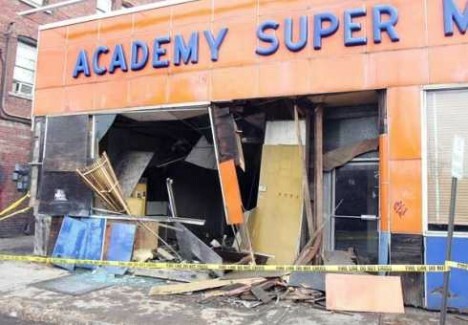 Warren Ruda’s photos of the ugly aftermath were published in the February 4th edition of The Citizens’ Voice. 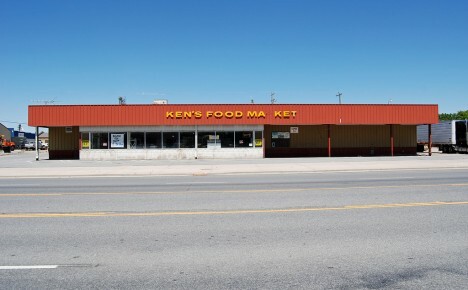 “Oh my God, they killed Ken’s!” We don’t know which bastards were responsible for Ken’s Market exiting the retail food trade but one possible motive was robbery… of an R. Perhaps they were pirates, though peg-legged, parrot-owning, old salty seadogs are mighty hard to find on the arid plains of Idaho. 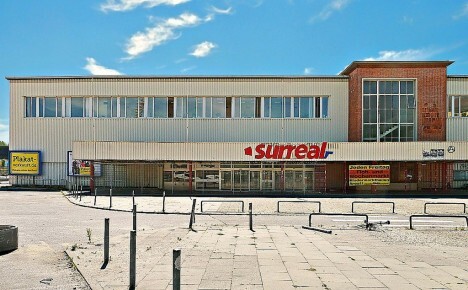 Real is a European hypermarket formed in 1992 from a merger of five smaller grocery chains. 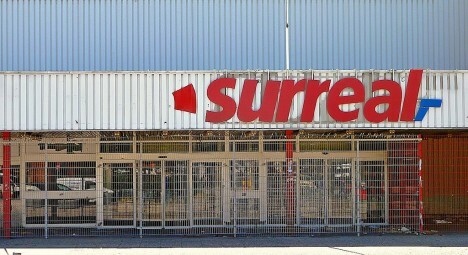 Not every Real supermarket has been successful, however, and the above store in Hamburg, Germany just couldn’t cut the mustard. Get it, cut the… OK, let’s move on. Closed in May of 2010 and subsequently abandoned, the supermarket was temporarily co-opted by WAV (We Are Visual) who in July of 2011 added some doubletake-worthy signage of their own design. Hello, Dali!